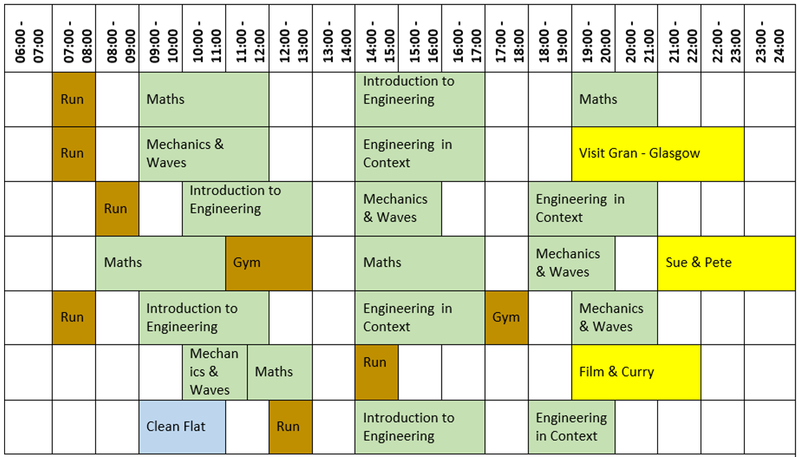 Have you created your revision timetable yet? If you haven’t, you could/should consider creating a personal timetable for each of your revision weeks. aim for a balance between work, rest and play – build in time for sport/exercise, adequate sleep, healthy meals & snacks etc. Here’s how one student organised their timetable. You can create your own colour key for your main categories. You can easily create a similar table in Word or Excel – to help you get started there is a blank timetable on our Revision & Exams page that you could download and complete. Feel free to include as much or as little information in your revision timetable as is meaningful to you. You could also watch this short video from Leeds University Library that gives suggestions on planning your revision timetable. Which version of Microsoft Office should I use?